"What are you going to be when you grow up?" Janet Evans asked her daughter. "Do you want to be an Olympic swimmer?" "No," she replied as she took off sprinting. "An Olympic runner." - Former Olympic swimming champ Janet Evans asking her daughter, Sydney Evans, what she wants to be when she grows up. Looks like the sport is making headway somewhere. If you were a 9:25 3200m guy, would you go D1 or D2/3? Do you believe the rest of the SI article about Rupp & Farah? 8 x 1200 at 4,551 Ft Altitude in 3:09/2min rest? Best Response to "No one cares about running"
Preview: "The most anticipated Japanese marathon in years is here." What a race!!! 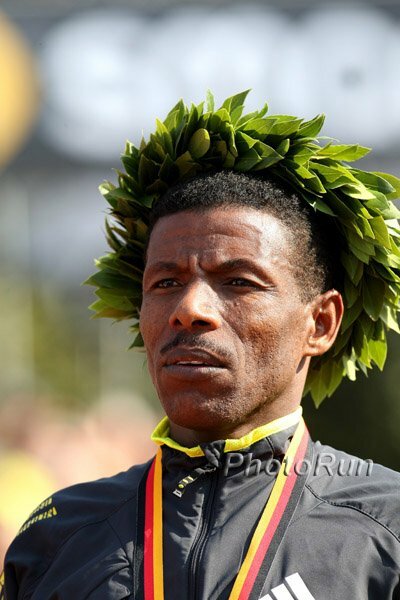 Haile Gebrselassie tries to qualify for a last Olympics and get the one thing he doesn't have - an Olympic marathon gold - as the Japanese men led by amateur Yuki Kawauchi try to secure Olympic selection in a year where Brett Larner says "it could take a 2:07 to make the London team." Originally Geb was going to go for a "controlled 2:05" but he'll probably need something faster to make London.
.*Kenya Names 2012 World Championships Team - Calls It The Strongest Ever Pamela Jelimo is on it for the women but teen sensation Caleb Ndiku and 5,000 WL Thomas Longosiwa are left off in favor of sub-7:30 3,000 performers Augustine Choge and Edwin Soi. 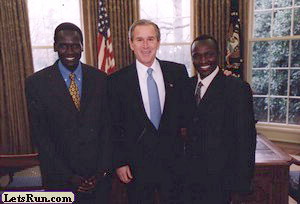 Silas Kiplagat in the 1,500, Boaz Lalang in the 800. 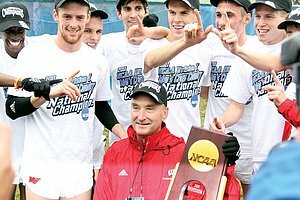 *It's Unclear Whether The Kenyan Olympic Trials For The 5k & 10k Will Be In Eugene Pre meet director Tom Jordan sounds more optimistic about getting the 10k and not the 5k, almost certainly not all four. 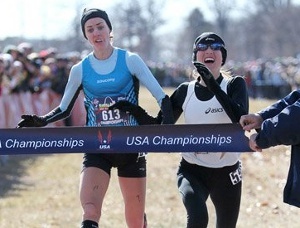 The NYC Half Is March 18th: Liliya Shobukhova Running Only NYC Half And Bank Of America Shamrock Shuffle 8k In Chicago Before Olympics In NY, she will face Desi Davila and Kara Goucher. Recommended Read: Q&A With British Jav Legend Steve Backley, Who Says Emil Zatopek Was His Hero "I was fortunate enough to meet him a year before he died. .... I just wanted to shake his hand, look him in the eye and acknowledge his greatness. You don’t need to say a lot to people like that, just thank them and look into the whites of their eyes." Missed Out On Olympic Tickets? Well, 40,000 T&F Tickets Will Be Offered To Lucky Losers Soon Event tickets left for the 100m final although good luck getting/paying for them. London Mayor Criticizes Olympic Ticket Sale Process And Calls It The "cruel engine of disappointment." 75% of tickets are supposed to be available to the public, but there is suspicion that is not the case. West Ham Says They Will Not Move To Olympic Stadium If They Have To Share It With Another Team It sounds like things might have been better off if West Ham just won the original bid like was announced before all the court cases. Former Olympic Champ Christine Ohuruogu Is Surprise 4 X 400 Entrant Her last two years have been awful as she's only broken 51 three times. van Commenee Not Worried By Farah Loss - Says It's "Quite Healthy" For Him To Lose "It's quite normal for athletes to get beaten. It's quite healthy as well - certainly five months before the Olympics. There is no reason to be concerned. ... There is this assumption that Mo is unbeatable but that assumption is only in Britain. I don't think that in Kenya or Ethiopia people take the same view. It will happen every now and again - as we saw in the 10,000m at the World Championships in Daegu." With Carl Lewis' Help, Nike Unveils New Technology Designed To Shine At London 2012 From basketball shoes with flywire, to a track suit that is supposedly faster than skin and will help a sprinter by .026, to new Victory mid-d spikes that loosen and tighten with the motion of the foot, Nike had an Apple-like event in Manhattan. 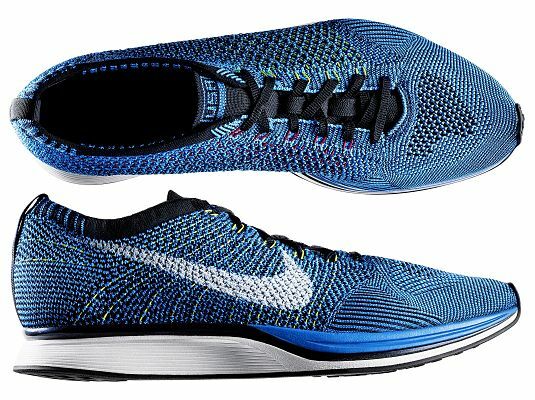 "Today we unveiled technology we believe has the potential to change sports performance," Mark Parker, Nike's chief executive. Nike Press Release Abdi Abdirahman was on hand as Nike released a new marathon shoe that is 19% lighter than the Zoom Streak. USA Today: Bball Uniforms are 14 Ounces Lighter Than Normal All we say is bring back the short Larry Bird shorts which are even lighter. Jordan Kent, Who Lettered In Football, Basketball & Track And Had 3-Year NFL Career, Is Now Focused On Track Can he make the "A" standard in the 400. His PR is 46.95. Crazy: Ten Running Stars From Sammy Wanjiru's Japanese HS Will Transfer To School That Is 3-Time National Champion And the new school is saying they are taking them in as part of a post-tsunami relief effort. Ridiculous. Wanjiru's school isn't totally innocent, however, as their coach resigned as he felt he wasn't getting support. A spokesman said the obvious: "We respect the personal decisions of all the students involved. Our track and field program will have to rebuild from zero." Bolt Says "everything is good." 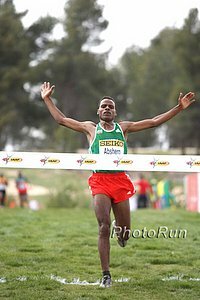 Opposite Of Sprint News: Up-And-Down Course Record Holder At Comrades - Leonid Shvetsov - Will Come Out Of Retirement To Race Comrades This Year 3-Time Defending Champ Stephen Muzhingi isn't worried though, as Shvetsvov says his goal is top 10. Olympic Soccer Pitch Isn't Up To Premiere League Standards Will Have To Be Ripped Up After Olympics "Under-soil heating" is needed for winter soccer games. Not sure why they didn't include it already. 90% 55% Of All Triathletes Make More Than $100,000 Per Year This is good news for Lukas V fans as it's official - the African athletes have little chance. It's also worth noting that triathletes spend over $2,000 per year on the sport but less than 5% of that on running shoes. 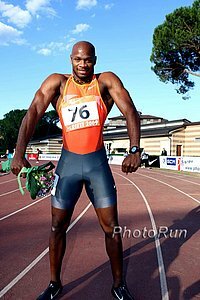 Düsseldorf Results (Nixon Chepseba 3:35, Thomas Longosiwa 12:58, Adam Kszczot Crushes Boaz Lalang, Lolo Jones Wins Hurdles, Jimmy Vicaut Wins 60) Dayron Robles got beaten by Kevin Craddock of the US. 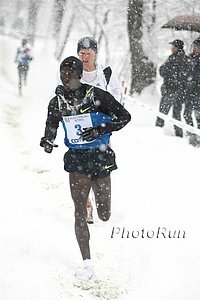 Logosiwa was Kenyan Champ in 2007 and ran 12:51 that year. He was 6th at Worlds last year. Thursday's Stockholm Meet Is Loaded: IAAF Preview The meet has some great jumps plus a fantastic men's 800 where #3 all-time Adam Kszczot will race Mohamed Aman, Borzakovskiy and Lalang. The men's 5,000 is totally loaded, as the 2012 world leaders at 5k (Thomas Longosiwa 12:58.67) and and 3k (Augustine Choge 7:29.94) will clash with Boston winner and teen sensation Caleb Ndiku. Plus former NCAA standouts Hannah England, Morgan Uceny and Anna Pierce in the 1,500. 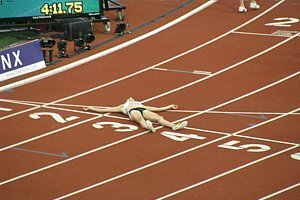 Holly Bleasdale Looking For Another Shot At Beating Yelena Isinbayeva They cleared the same height 2 weeks ago, but Isinbayeva won on countback. UK's Helen Clitheroe in the 1,500m. Dayron Robles Vs. Liu Xiang Robles says he has no hard feelings towards his friend Xiang, whose protest got him DQed from WCs. Great Profile: Jen Suhr Literally Needs To Raise The Roof On Her Custom Built Practice Facility In Rochester, NY When she vaults, her feet are almost hitting the ceiling. Interesting insights into her start as a PVer and training which includes underwater pole valuting. Great Profile #2: Confident, Healthy, Ready, High Jumper Jesse Williams Eyes Olympic Gold In London Williams after missing finals in Beijing 2008: "I'm going to go home and cry for four years, then come back out in London and make sure things go right. That's all I can do." Daegu World Champs Jesse Williams (HJ) And Christian Taylor (TJ) Highlight Field Events As well as the top 4 shot putters in the world in Resse Hoffa, Ryan Whiting, Christian Cantwell and Adam Nelson. World Heptathlon Record Holder Ashton Eaton Competing In LJ At US Champs He's already going to Worlds in the heptathlon. Preview Of Women's Field Events Jen Suhr, Jillian Camarena-Williams & Brittney Reese. 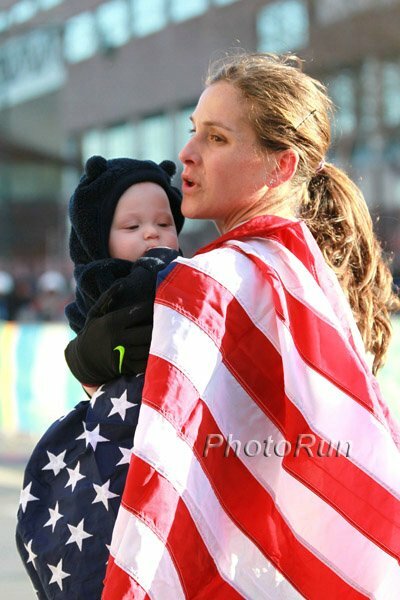 MB: Does Rupp have any realistic chance of beating Lagat this weekend? Let's Hope They Advertise On LetsRun.com - We'll Do It For Product - Sam Adams To Unveil New Boston Marathon Beer On Thursday The Samuel Adams Boston 26.2 Brew "will have a slightly lower alcohol level and lighter body than many other Samuel Adams beers." USA Today: B-Ball Uniforms Are 14 Ounces Lighter Than Normal All we say is bring back the short Larry Bird shorts which are even lighter. Sports Illustrated & Tim Layden Profile Mo Farah & Galen Rupp: A Bond Born At Speed The two training partners clearly will have vastly different amounts of pressure on them at the London Games and it's clear that Rupp is happy to not be in the spotlight: "I don't envy Mo. He's going to have a bunch of people cheering for him, but all that stress. It's nice sometimes to just train and not have all that external stuff." MB: Rupp 10.9 and Farah 11.3 for the 100m *Do you believe the rest of the SI article about Rupp & Farah? 8 x 1200 at 4,551 Ft Altitude in 3:09/2min rest? 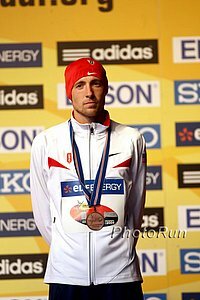 *Alberto Salazar's coaching pre-Galen Rupp *Does Rupp have any realistic chance of beating Lagat this weekend? 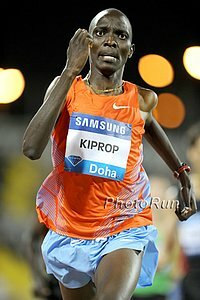 Kenyan 5,000 & 10,000 Trials At Pre Classic Is Now Being Hotly Debated In Kenya As Former Greats Moses Tanui And Paul Tergat Voice Disapproval Tanui points out that the cost of shipping one athlete to Eugene would go a long way in Kenya. Washington Post Looks At Fact That Building Built In 1901 That Doesn't Allow LJ Or TJ Hosts Md. State Qualifying Meets We loved this quote from an old-time coach who defended the use of the building: "I think we're getting soft in our old age," said Clarksburg Coach Scott Matthias with a smile. "Do I love it? No. Do I rather [run at] PG? Yes. 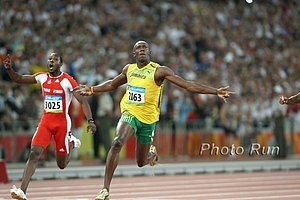 But a race is a race whether it's faster or slower than at other places." Ex-Scottish Rugby Player Thom Evans, Who Was Nearly Killed On The Pitch Two Years Ago With A Broken Vertebra, Is Back As A 60m Man Now He's not all that fast (7.23) but it's an amazing accomplishment. *IOC Opens Women's Sports Conference With Video Of Olympic Heroes That Features Just 4 Women Out of 34 Shown USA Today's Christine Brennan rips the IOC here for being 100% sexist. How can they consider putting the Olympics in sexist Qatar? *Doha Including More Sport Opportunities For Women As Part Of Its 2020 Olympic Bid Qatar has never sent a female to the Olympics but this year it will sent at least TWO! *Big East Results Most of the conference meets are this weekend.